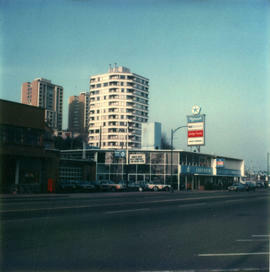 Kennedy Travel can be seen. 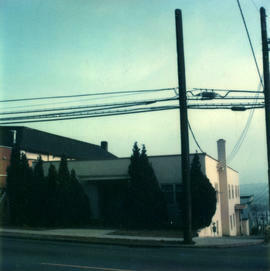 Sign for Columbia Funeral Chapel can be seen. 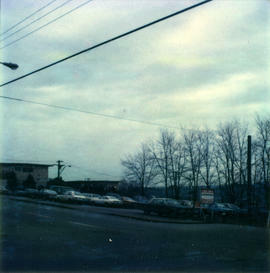 Radio Shack and Tandy Leathercraft businesses can be seen. 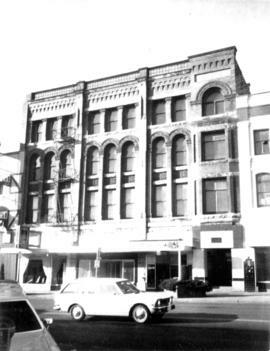 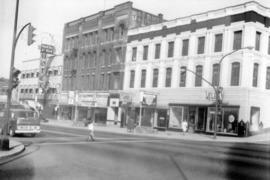 The Mercantile Building, 332 Columbia, can be seen. 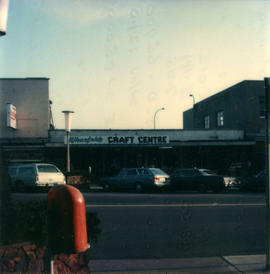 Sign for Wharfside Craft Centre can be seen. 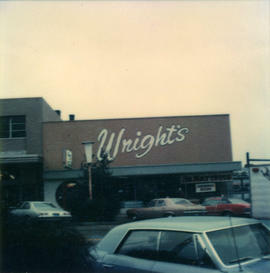 Building has sign for "Wright's". 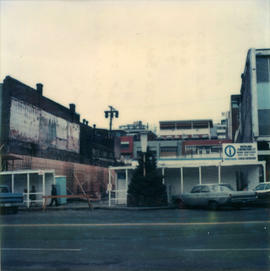 Window has sign saying "Mr. Mattress opening soon". 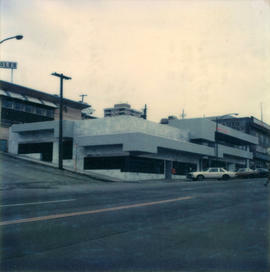 Paper Chase business can be seen. 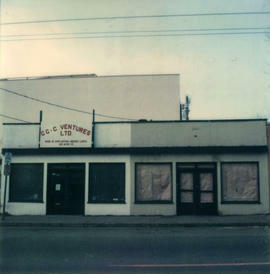 CCC Ventures sign can be seen. 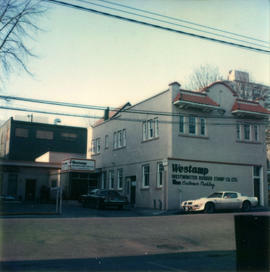 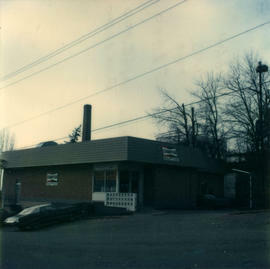 Sign for Westamp rubber stamp company can be seen. 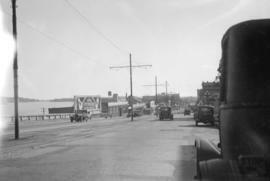 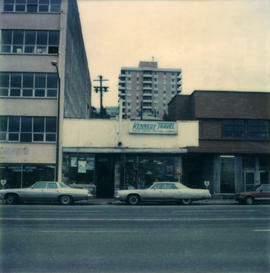 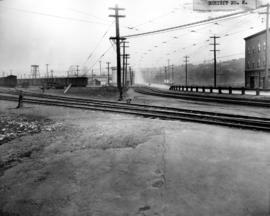 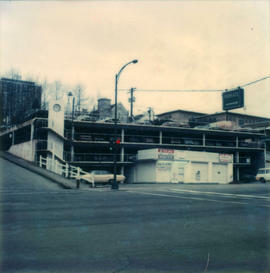 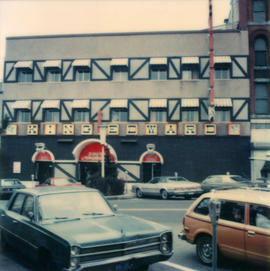 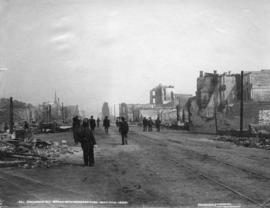 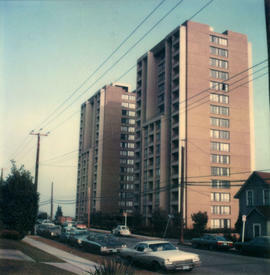 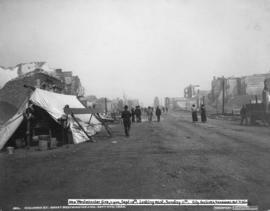 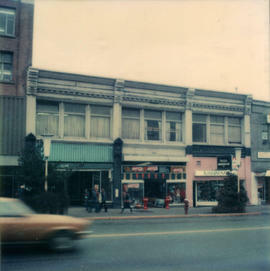 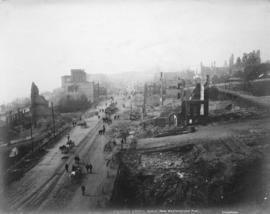 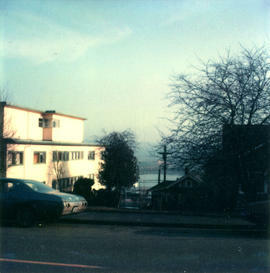 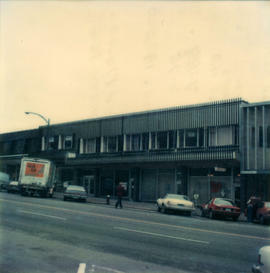 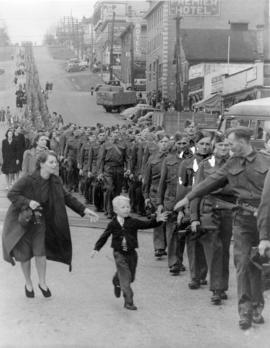 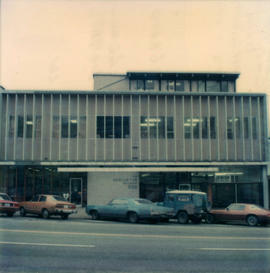 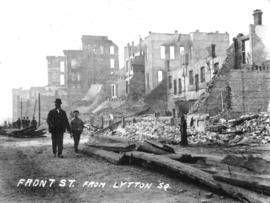 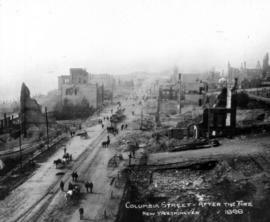 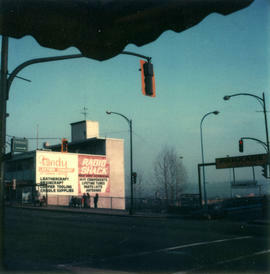 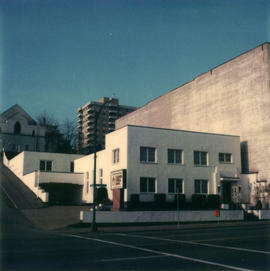 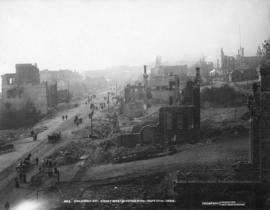 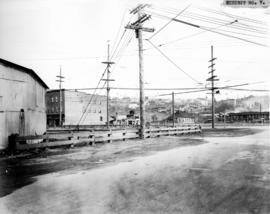 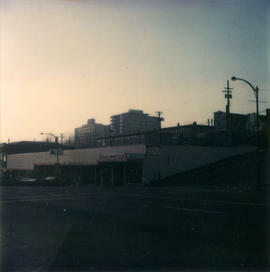 Photograph shows the Burr and Guichon blocks on Columbia Street in New Westminster from the intersection of Columbia St. and 4th Street. 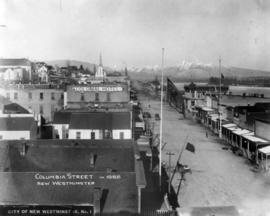 Street, sidewalk, cars and pedestrians also shown. 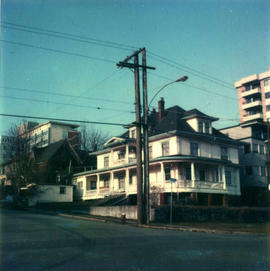 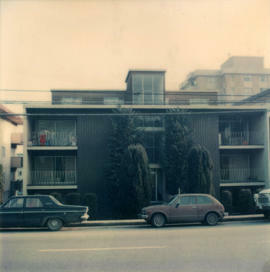 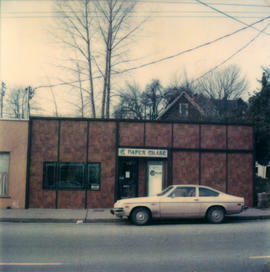 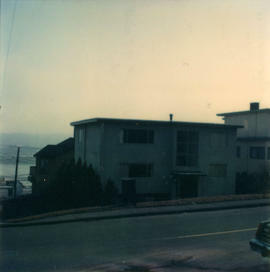 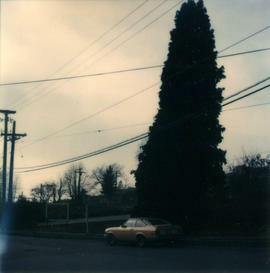 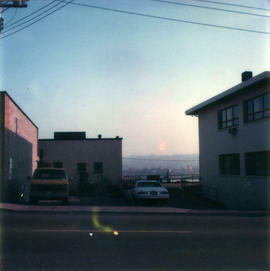 Photograph shows the Burr Block on Columbia Street in New Westminster. 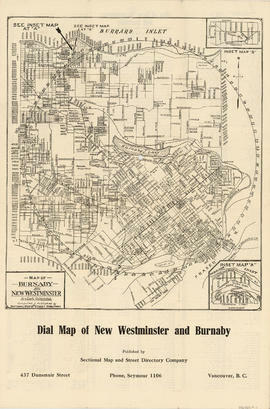 Part contains a street map of New Westminster and Burnaby. 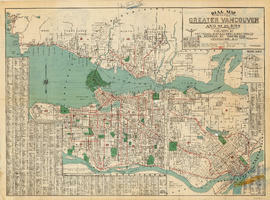 Two small inset maps show the Capitol Hill/Scenic Park area and the area bounded by Canberra Avenue, Holdom Avenue, Dundas Street, and Hastings Street in greater detail. 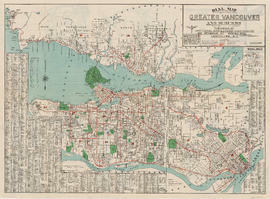 Item is a street map showing Vancouver, Burnaby, New Westminster, West Vancouver and North Vancouver on one side and the University Endowment Lands, Surrey, Maillardville, Lulu Island and Sea Island on the other. 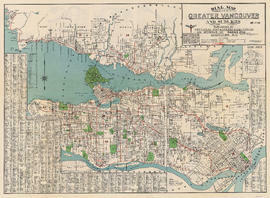 Item is a street map of Vancouver, West Vancouver, North Vancouver, Burnaby, New Westminster and the northern part of Richmond, with street index and advertisements on verso and an attached cover. 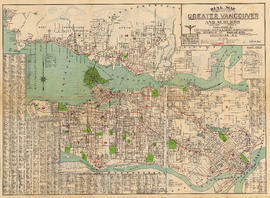 Item is a road map showing Greater Vancouver on one side and downtown Vancouver and New Westminster on the other. 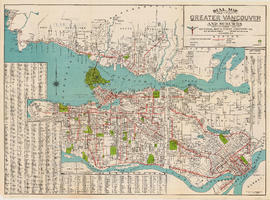 Item also includes textual information for tourists and motorists.